The newest dental equipment and our diligent, knowledgeable team are at your service. We provide a full range of general and cosmetic dentistry services. 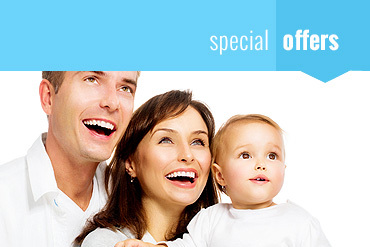 Read about out latest special offers on tooth whitening treatments. We now provide BULK BILLING for children under the Child Dental Benefits Scheme. At Quality Dental Care, your oral health is our highest priority. Based in Bondi Junction we provide a wide range of general and cosmetic dentistry services. We use the latest dental technology and practices to ensure outstanding dental care that helps you to smile confidently. Did you know that your overall health and well being are linked to your oral hygiene? At Quality Dental Care, we provide treatments to ensure continued good health through preventative dentistry. With our preventative dentistry services, we aim to minimise long-term costs by avoiding unnecessary dental procedures. Remember, maintain good teeth for good health and good health will lead to a great life! We are also committed to enhancing the quality of your smile through cosmetic dentistry procedures such as professional teeth whitening, crowns,bridges and veneers. Ask about our white4life loyalty program. We offer a variety of high-quality dental services, from general and preventative dentistry to cosmetic dentistry. Root canal therapy is necessary when decay in the pulp of the tooth has affected the nerves and blood vessels. Wisdom teeth removal is often recommended to prevent your tooth from impacting or causing problems with your bite, cavities, overcrowding or gums. Porcelain dental crowns restore the functionality of a tooth and protect the remaining tooth structure. Invisalign technology uses a series of customised, removable aligners to straighten your teeth discreetly. Get the confident white smile that you deserve with any of our teeth whitening services by Pola, such as in chair, take home, and on the go. Implants are one of the most successful methods of treating missing teeth. 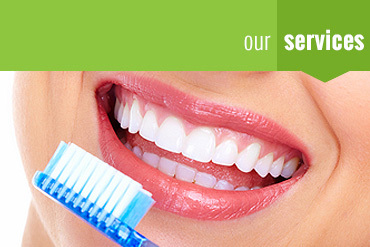 Read more about our dental care services here. We combine the newest dental equipment and a diligent, knowledgeable team to provide the best treatments for your teeth! Read about our latest special offers on tooth whitening treatments. We have deals for pensioners and university students! Contact Quality Dental Care today to visit our Bondi Junction or Regents Park locations. Call us on (02) 9387 1414.